On 15th February 2012 a celebration was held for students of the 10th class. The picture shows the principal Mr. Narendra Sharma with his team of teachers and students of the 10th class at the Gokhale Children's Academy. In September 2011 we were cordially welcome at the Gokhhale Children's Academy. In a very friendly atmosphere we could talk with the students and with the highly motivated team of teachers. 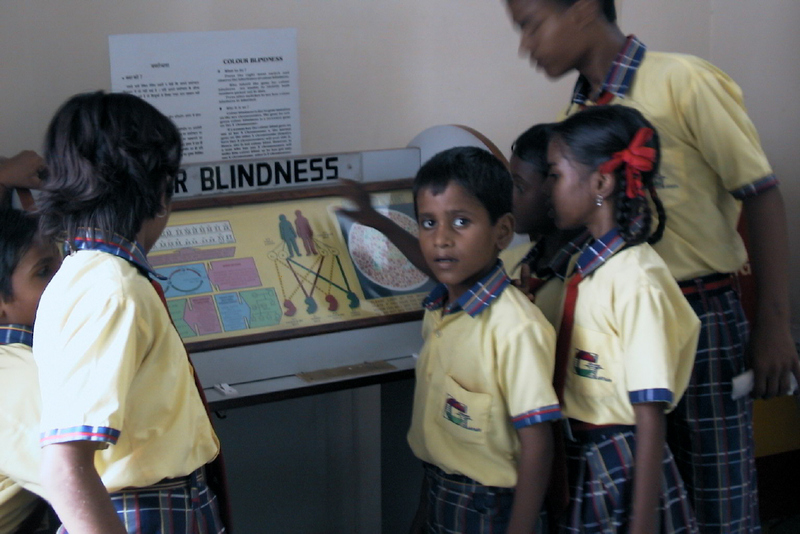 The new computer class at the Gokhale Children's Academy was opened in Februar 2010. This class is arranged with five computer stations. All computers are networked thus providing internet access and printer service for each station. All computers are equipped with an audio system. Wireless LAN for notebooks is available as well. With this we can provide basic computer education for students beginning from the age of ten years. The computers should also support teachers to do the preparations for their educational projects. In Februar 2010 Mrs. Sabine Huetter presented a great variety of Montessori material. Teaching lessions for teachers and students were held successfully. Teachers and students as well paid great attention to this session. Friendship ceremony between teachers and the students. 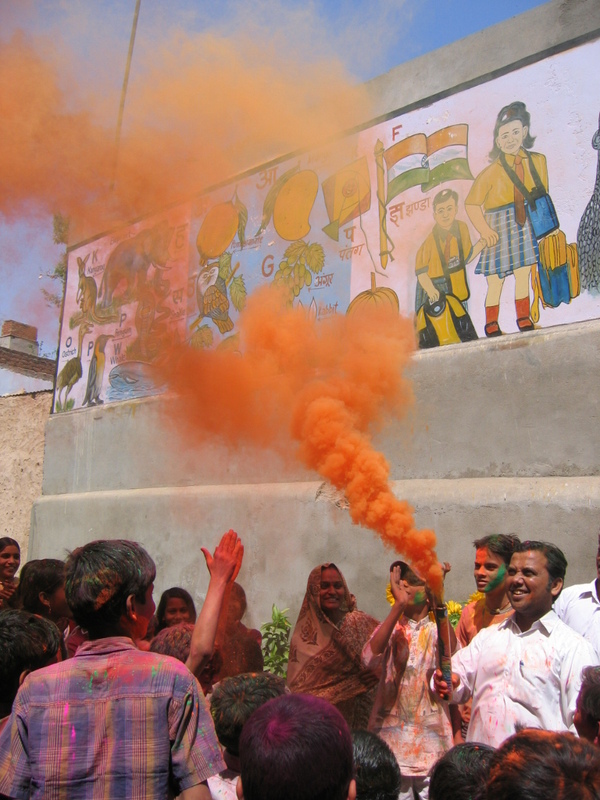 The Holi festival is celebrated at the Gokhale Children's Acadmy every year. Holi, also called the Festival of Colors, is a popular Hindu spring festival observed in India, Nepal, Bangladesh, Pakistan, Srilanka, and countries with large Hindu diaspora populations, such as Suriname, Guyana, South Africa, Trinidad, the UK, USA, Mauritius, and Fiji. In West Bengal of India and Bangladesh it is known as Dolyatra (Doul Jatra) or Basanta-Utsab ("spring festival"). The most celebrated Holi is that of the Braj region, in locations connected to the god Krishna: Mathura, Vrindavan, Nandagaon, and Barsana. These places have become tourist destinations during the festive season of Holi, which lasts here to up to sixteen days. 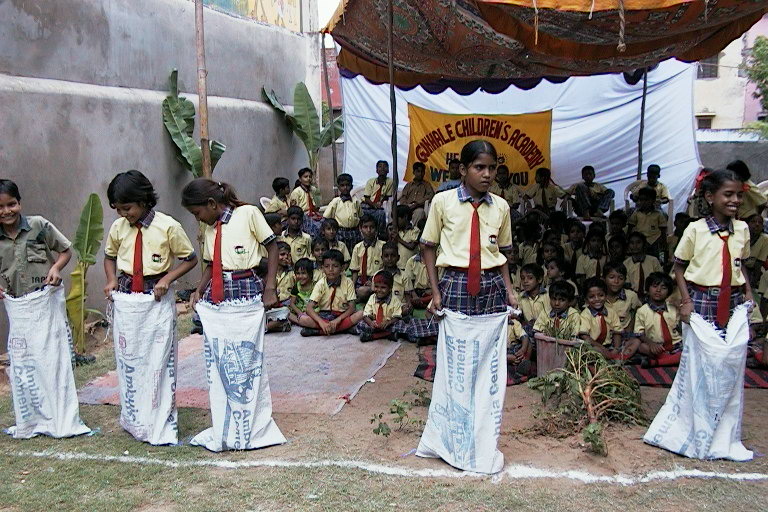 A bag running was held in September 2007 at the Gokhale Children's Academy. 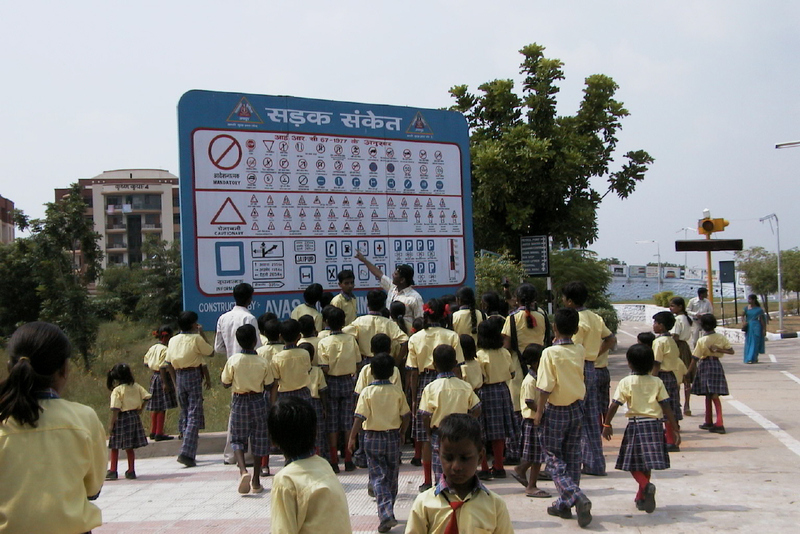 Mr. Narendra Sharma is explaining the most important road signs to young students. Students of the Gokhale Children's Academy are visiting the Science Park in Jaipur.